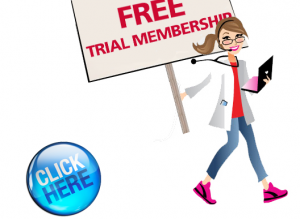 Register today for a free trial subscription for more veterinary continuing education! VETgirl is a subscription-based podcast and webinar service offering RACE-approved, online veterinary continuing education (CE). We do this through a multimedia approach – via podcasts, webinars, blogs, videos, and social media – all to promote learning… when you don’t have too much time to spare! All you need is a smartphone, tablet, laptop or desktop with Internet access, so you can learn “on the run” when you have time. VETgirl is designed for veterinary professionals who have time poverty and are “on the run.” Who has time to read journals or sit through hours of videos or lectures? Download the podcasts you want to listen to, and get clinical tips within just a few minutes of listening! The podcasts are available on-demand, with constant access to the latest, cutting edge CE that you need to know. Sign up to get a few sample podcasts (below) and access to two free sample webinars, so you can decide if you want to upgrade to the VETgirl ELITE ($249/year, 100+ hrs of CE) subscription for even more CE! x Over 50-60 podcasts (6-10 minutes, on average) per year, focusing on what you need to know to stay on top of the field! These include clinical vignettes with topics ranging from ‘How to unblock a cat” to “Treating the po’: parvovirus” to “Phenobarbital or potassium bromide: which one’s better?” When you listen to all 50-60 podcasts/year, you earn 4 hours of RACE-approved CE total. x Every week, we’ll be adding the top critical reviews of pertinent articles to veterinary practice - or key interviews with board-certified experts - with a biased focus towards emergency, critical care, internal medicine, surgery, clinical pathology, cardiology, and toxicology. x Over 30+ hours of RACE-approved hours of webinars that you can watch from the comfort of your own home ! With VETgirl, you can learn clinical veterinary medicine with style, passion, and efficiency…sans fluff! Created by veterinary specialists, VETgirl provides clinically relevant CE on what you really need to know. This isn’t intended for veterinarians who have managed to find 30 hours in a day. We don’t have time for the fluff, and neither do you! We will help get you the clinical tips that you need and in a convenient way!